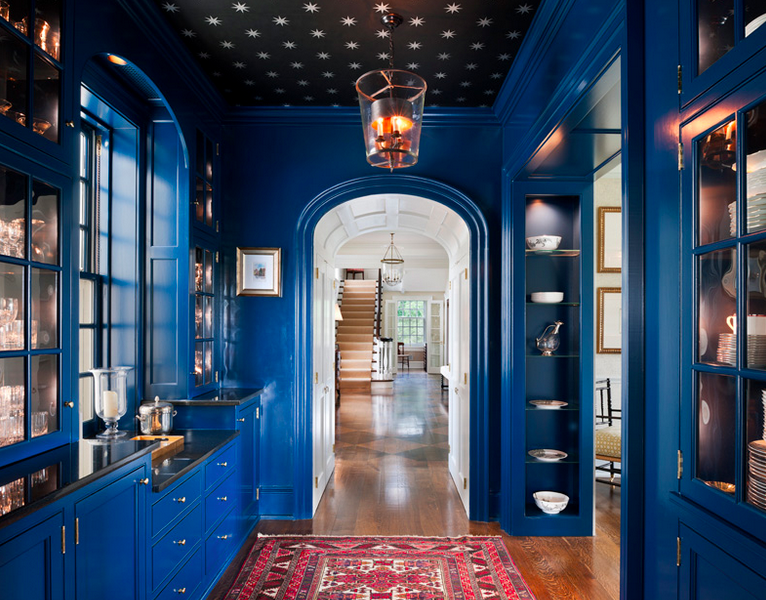 We have all been awed by dramatic and detailed ceilings at least once in our life, but how can you make this happen without changing the architecture? 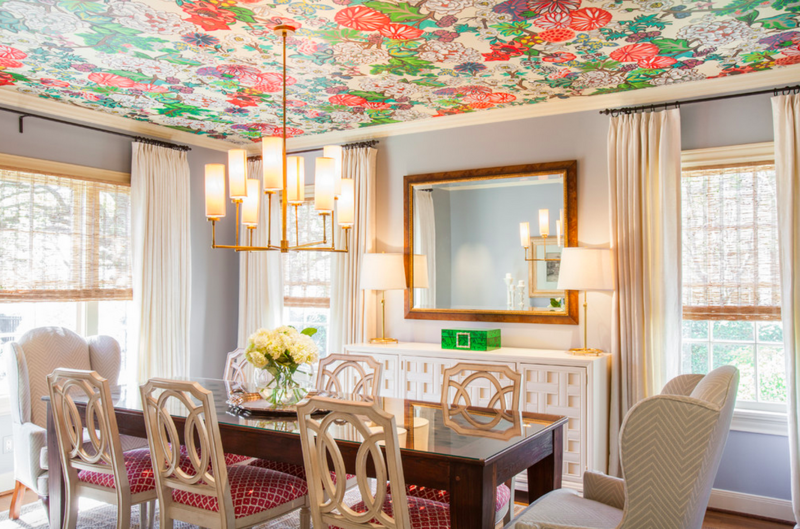 Wallpapered ceilings are one way to make a statement in a space without overpowering the purpose of the room. With so many different patterns, textures and color schemes to choose from, this is one trend that I predict is not going anywhere but UP. Do you have a space, perhaps a hallway, powder room or entry that could use an UPgrade? I would love to do this in my house but my first concern was the installation. Here is a How To for a step by step guide that makes it look easier than I thought – just wouldn’t try tackling this one alone! 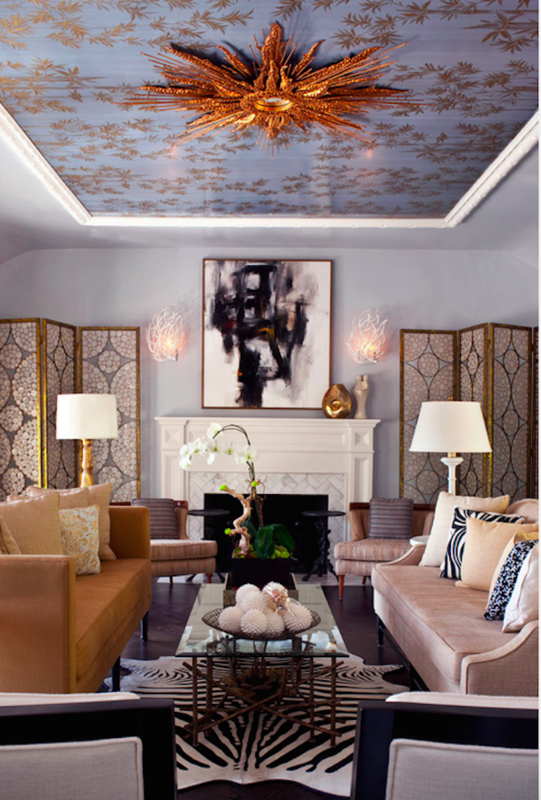 Tip: You’ll notice that crown molding really helps frame the overall look of a wallpapered ceiling. Pay attention to the thickness and color of your crown molding if you thinking about trying this at home. I’d love to hear your thoughts on these ceiling transformations! I am a huge fan of this trend! Such a creative way to add a pop to your space.